Parents and other caregivers are right to assume that children will, inevitably, get hurt while playing. 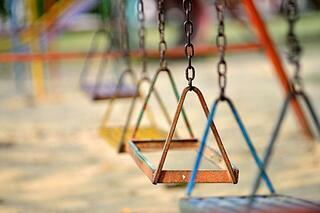 These injuries, however, should not be caused by unsafe or dangerous playgrounds. Contact our firm to discuss your situation through a free initial consultation. The New Jersey playground injury attorneys at Scura, Wigfield, Heyer & Stevens, LLP, have a wide variety of experience through personal injury cases. We can effectively guide our clients through even the most complex legal situation. Our firm is built upon skilled negotiators and accomplished trial litigators. We will first attempt to reach a beneficial settlement with the liable party's insurance carrier. If a settlement cannot be reached, we are fully prepared to represent you in court. If these, or other, situations have led to your child suffering a significant injury, it is crucial to seek a knowledgeable lawyer. We can carefully examine all of the factors in your situation and provide you with honest feedback. If further representation is needed, we will fight on your behalf through all stages of litigation to reach a successful conclusion. Our goal is for you to receive the full and fair compensation you are owed. If you have questions regarding playground accidents, do not hesitate to schedule a free consultation with an attorney at Scura, Wigfield, Heyer & Stevens, LLP. Our personal injury lawyers are prepared to fight on your behalf to recover compensation from any negligent party or insurer.